The Nikon D3300 is the ideal model for those who want to get into SLR cameras: features excellent components, it’s small and lightweight, offers great picture quality and it is very easy to use. The Nikon D3300 is smaller than the D3200, which really sows if you’re using the included lens: the new AF-S DX NIKKOR 18-55mm f/3.5-5.6G VR II. This lens is also 30% smaller and 23% lighter than the previous model thanks to its design, similar to the one in the Nikon 1 cameras. The lens has a button you can press to block/release it so you can use it like any other lens. The Nikon D3300 features a 24.2-megapixel CMOS sensor, a very big resolution capable of offering not only big pictures, but also pictures that can be easily edited without losing quality. 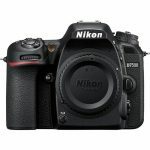 Since the D800, Nikon has released many models that feature CMOS sensors without the low pass filter. This filter is used to reduce the moiré effect, though they may lose a bit of quality. Thanks to the EXPEED processors, you can opt to not use this filter, taking full advantage of the sensor and the excellent quality of the Nikkor lenses. The Nikon D3300 sensitivity ranges from 100 to 12800 ISO, and can be increased to up to 25600 ISO. This not only allows you to work comfortable in low-light scenarios, but also works great with high-speed shooting. The Nikon D3300’s shutter offers a burst mode of 5 FPS both in JPG and RAW, with the maximum possible resolution. While focusing through the viewfinder, the D3300 offers the MultiCAM 1000 module, which features 11 focus points per phase detection. The dynamic focus uses various focus points as reference to further improve the performance of the camera. It also features an AF-A mode which detects the kind of picture you’re taking and automatically adjust the focusing mode. It also boats an amazing 3D focus mode through the viewfinder, which you can use by gently pressing the shutter button, without pressing it completely. This system will follow whoever or whatever you’re trying to take a picture of, focusing on their new position. The Live View mode works while taking pictures and recording video and it can detect faces and follow your target in a similar fashion to the aforementioned 3D system. The D3300 features a 7.5-cm LCD screen with a 921000-pixel resolution. Its brightness can be adjusted and it shows very useful information at all times. In the left right corner, you can find the [i] button, which you can use you to change the camera’s setting; what’s interesting about it it’s that it shows different setting depending on what you’re doing: if you’re using Live View mode or taking a picture with the viewfinder, or if you’re viewing your pictures in the TV, the button will only show the specific setting and features related to that task. Very versatile and useful. Since it uses the same processor as the D5300, the Nikon D3300 is capable of recording Full HD 1080p video at 50 or 60 FPS. Until now, these speeds were only possible with HD 720p video, so this is one of the few models capable of doing this nowadays, along with other professional models. What does this mean for us? First of all, a higher FPS means a more fluid video, so it’s ideal for recording the kids playing or a soccer match. Also, if you record video at 24 or 25 FPS, you’ll obtain an excellent slow-motion recording, and you can even make it slower by using a video editing program. The camera also supports external microphones in case you want the best possible audio quality, avoiding background noise. It also features 13 special effect modes, most for both pictures and video. There are four new: Super vivid, photographic illustration, Pop and Simple Panoramic, which now makes taking panoramic pictures with an SLR camera as easy as it is with a COOLPIX. 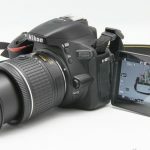 One of the main features of Nikon’s 3000 series is the Guide mode. This particular mode is located in the mode dial. It’s designed to help beginners get accustomed to the camera and learn to use all of its features. You can select the kind of picture you can take and the camera will tell you what settings are the best and even what lens you should use. A simple picture Editor has also been added. The Nikon D3300 can share your pictures in a very simple way since it is compatible with the WU-1a module. You can use a mobile phone or a tablet to control your camera thanks to this feature, as well as instantly share your favorite pictures on your social media accounts. If you’re a traveler, the camera is compatible with the GPS GP-1A unit. When connected to the camera, GPS data will be added to the picture (coordinates and UTC time).